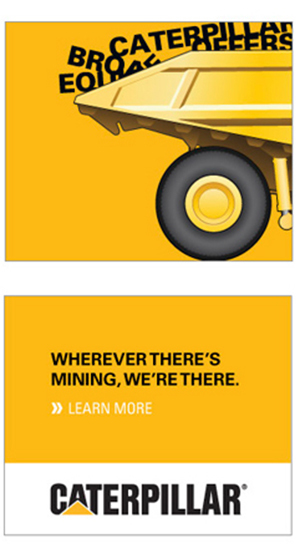 Recently, Colorado has taken major strides in renovating and improving its infrastructure, with the Colorado Department of Transportation (CDOT) leading the charge in many parts of the state. 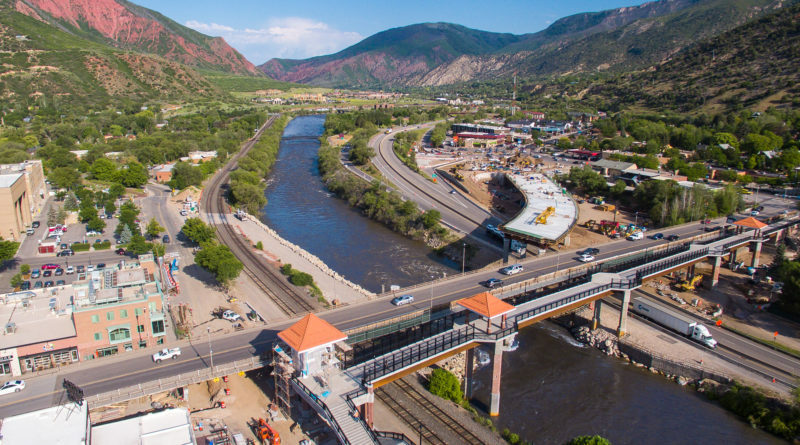 One of the largest and most exciting of CDOT’s numerous infrastructure undertakings is the Grand Avenue Bridge project, the largest construction project to occur on Colorado’s Western Slope in 25 years. 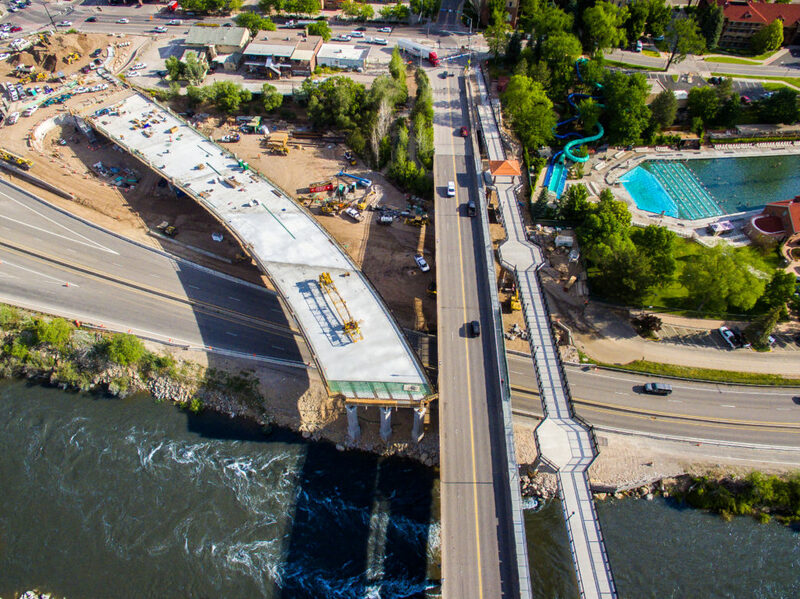 Originally slated to be completed over a 30-month timeframe, the project, which consisted of a complete reconstruction of the Grand Avenue Bridge itself and an adjacent Pedestrian Bridge, was opened to the public just weeks ago – and nearly two weeks ahead of schedule. 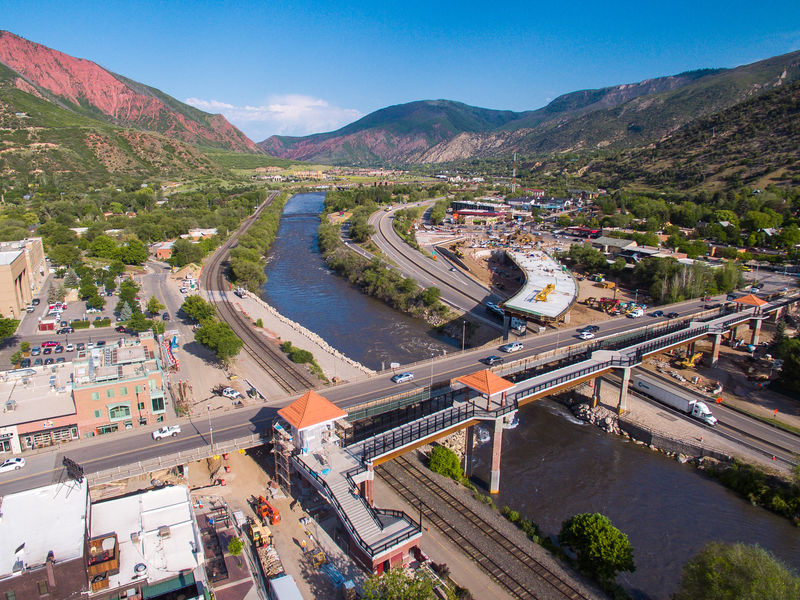 The original Grand Avenue Bridge, which connected downtown Glenwood Springs to Colorado’s famous Hot Springs Pool, Hotel Colorado and Interstate 70, was built in 1953 and has been an important thoroughfare since. 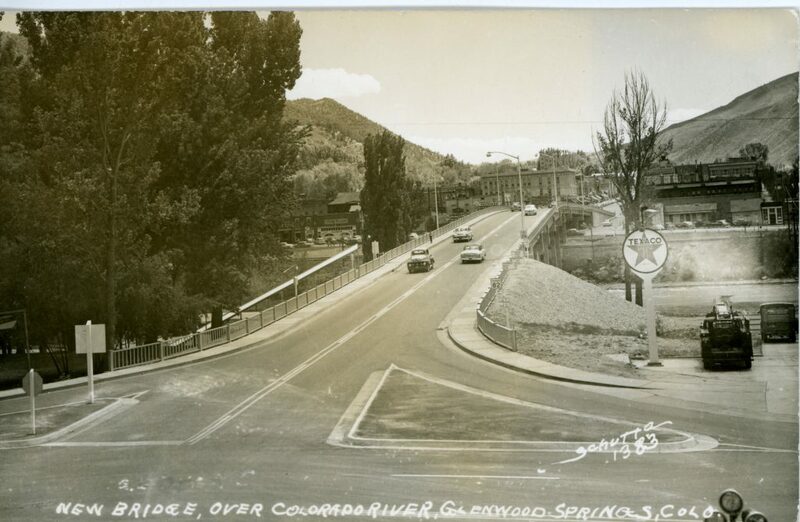 The original Grand Avenue Bridge, which connected downtown Glenwood Springs to Colorado’s famous Hot Springs Pool, Hotel Colorado and Interstate 70, was built in 1953 and has been an important thoroughfare since. Glenwood Springs attracts consistent year-round tourism due to its close association with outdoor sporting, as well as its proximity to multiple major ski resorts and the city of Aspen. Glenwood Springs is most frequently visited by other Coloradans, although tourists from across the United States and from around the rest of world have been growing in numbers recently. 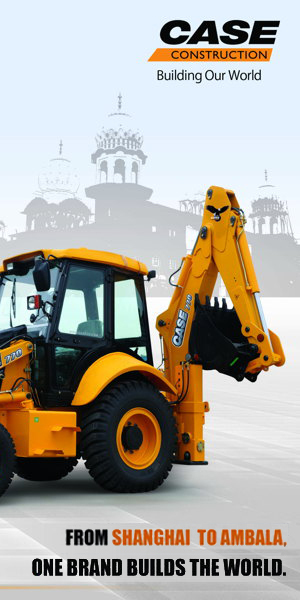 As a result of this, the bridge saw regular, heavy traffic and was frequently subject to traffic jams. The additional lanes were constructed not only to accommodate existing traffic, but in anticipation of future traffic growth as well. However, for as much use as the Grand Avenue Bridge saw, it was long ago categorized as “functionally obsolete” by CDOT. 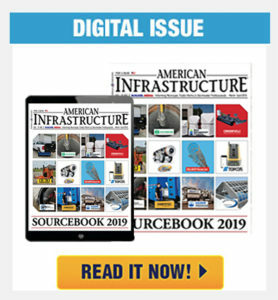 Bridges that are functionally obsolete are defined as, “those that do not have adequate lane widths, shoulder widths, or vertical clearances to serve current traffic demand, or those that may be occasionally flooded,” according to the Virginia Department of Transportation. According to the Federal Highway Administration, an agency within the U.S. Department of Transportation, bridges “with a sufficiency rating of less than 50.0 will be eligible for replacement or rehabilitation while those with a sufficiency rating of 80.0 or less will be eligible for rehabilitation.” Glenwood Springs’ original Grand Avenue Bridge was given a sufficiency rating of 47.4 out of 100. The Grand Avenue Bridge’s low sufficiency rating combined with its perceived safety issues due to narrowness, lack of shoulders, as well as heavy traffic, made it a prime candidate for replacement. The multi-phasic renovation project was endeavored in order to provide a more reliable route through an important transportation area; accommodate multiple forms of transportation, including trucks and busses; improve safety for both motorists and pedestrians; and to minimize impacts made to an environment that is celebrated for its natural beauty. 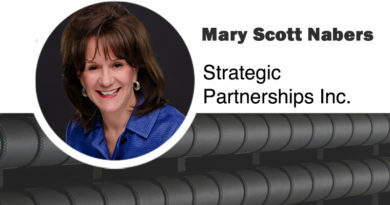 After years of planning, the project was fast-tracked after the $126 million needed for the project was obtained through Colorado Bridge Enterprise funds under FASTER (Funding Advancements for Surface Treatment and Economic Recovery). Because the bridge spans the Colorado River, it was necessary for two causeways to be built to support the additional weight of the structure. 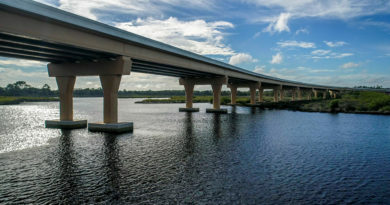 Constructed on the south side of the river, the south causeway extends from 30 to 70 feet into the river and runs along its back for approximately 500 feet. Although changes in the river’s flow rate are noticeable near the bridge, the rates return to normal about a quarter-mile past it with little impact otherwise. As is often the case with replacement, the new Grand Avenue Bridge features several key improvements over the old one. Perhaps most importantly to motorists is the fact that the bridge now has four lanes headed in either direction as opposed to two. The additional lanes were constructed not only to accommodate existing traffic, but in anticipation of future traffic growth as well. It should also be noted that the speed limit across the bridge remains 25 mph. Improved structural stability enhances safety, while wider lanes and a more gently curved alignment also help to ease the flow of traffic. And this is all to say nothing of its newfound, more aesthetically pleasing design, which utilizes natural materials such as red sandstone, rock and brick to make it feel right at home in Glenwood Springs’ historic downtown. The multi-phasic renovation project was endeavored in order to provide a more reliable route through an important transportation area and accommodate multiple forms of transportation. After nearly three months of inconveniencing residents with detours as crews worked round the clock to complete the renovation, the bridge was finally opened to traffic on November 6. 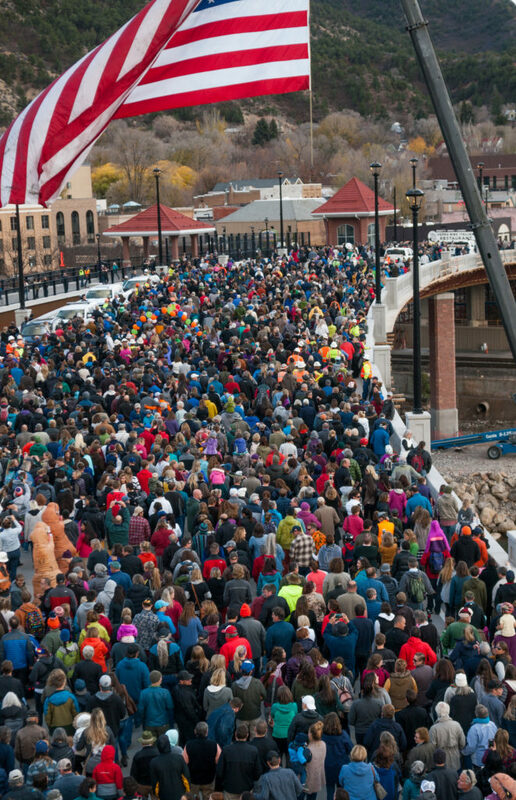 To commemorate the event, a ribbon-cutting ceremony was held on the bridge itself, where over 3,000 people turned up to participate in a grand-scale community walk across the new bridge. 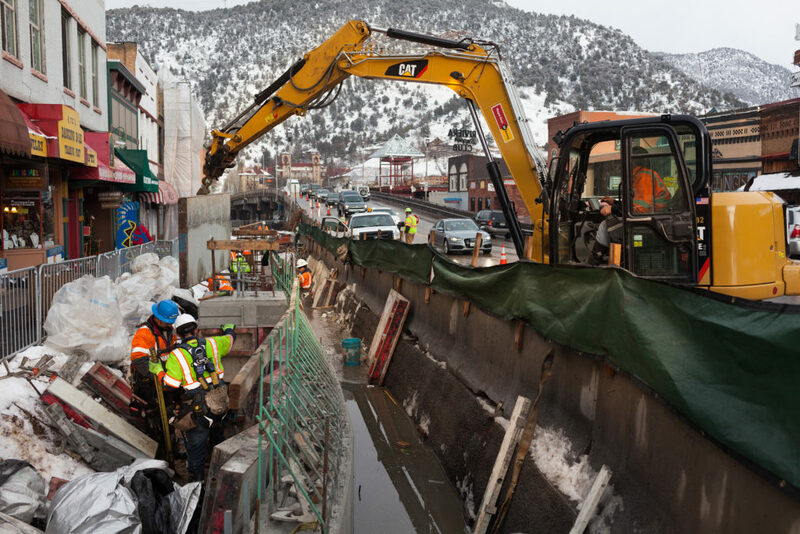 “We’re here for something you probably thought would never happen, but here we are, two weeks ahead of schedule,” said Mike Lewis, Colorado Department of Transportation deputy executive director. Local businesses have already seen an uptick since the bridge’s opening. 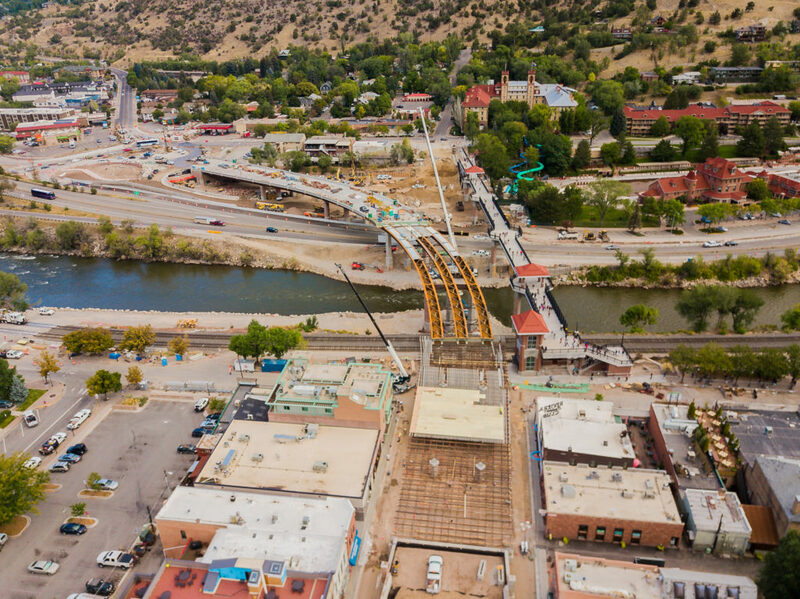 However, even though construction has been completed and the bridge is now open for use, much work remains to be done, as CDOT will continue to make additional appearance and landscape upgrades for the bridge. The project, which consisted of a complete reconstruction of the Grand Avenue Bridge itself and an adjacent Pedestrian Bridge, opened nearly two weeks ahead of schedule.